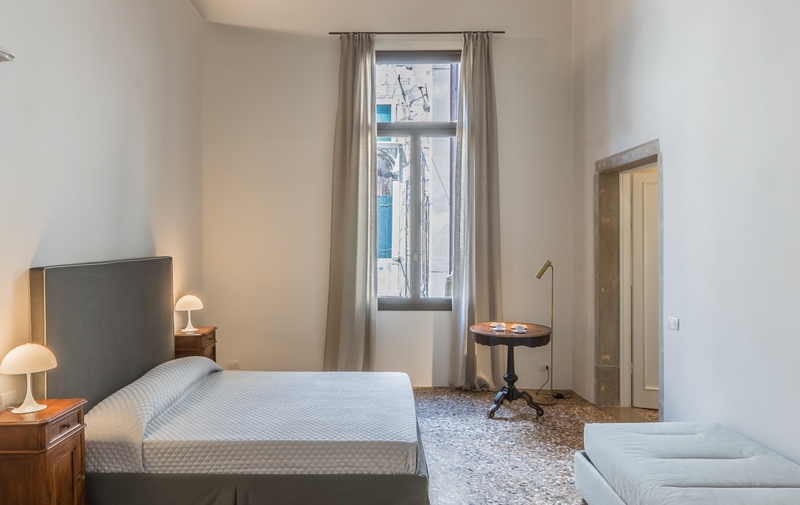 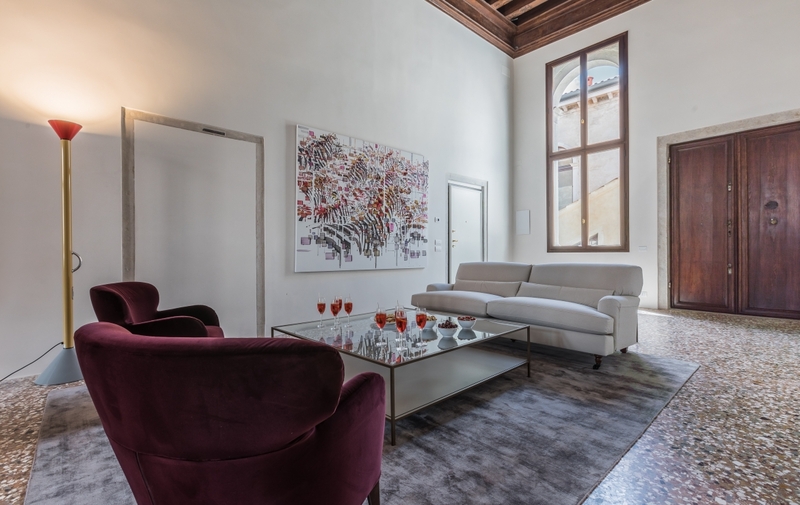 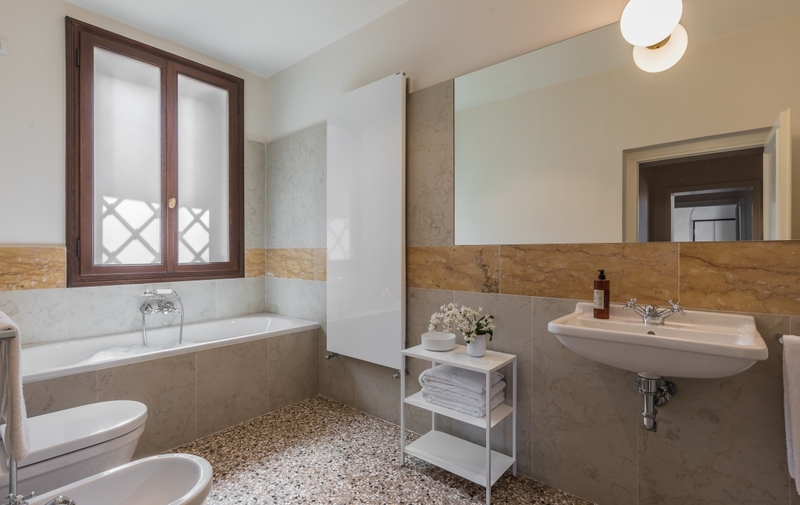 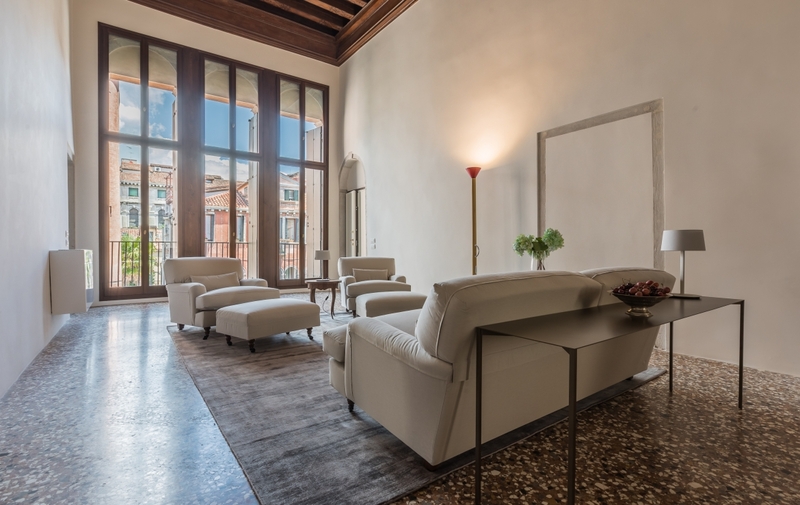 Sensitively steered into the 21st century under the direction of noted Venetian architect Alberto Torsello and interior design team Zanon Associati, Palazzo Vendramin provides a calm, unruffled and historically fascinating backdrop to exceptional new apartments. 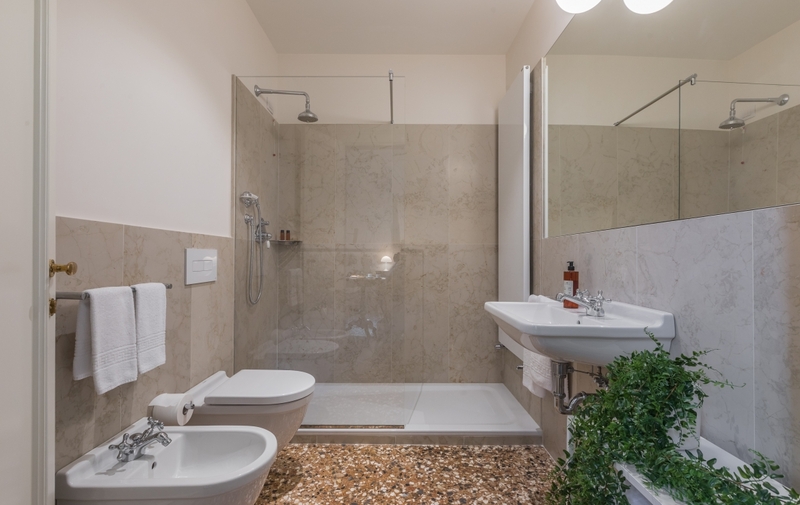 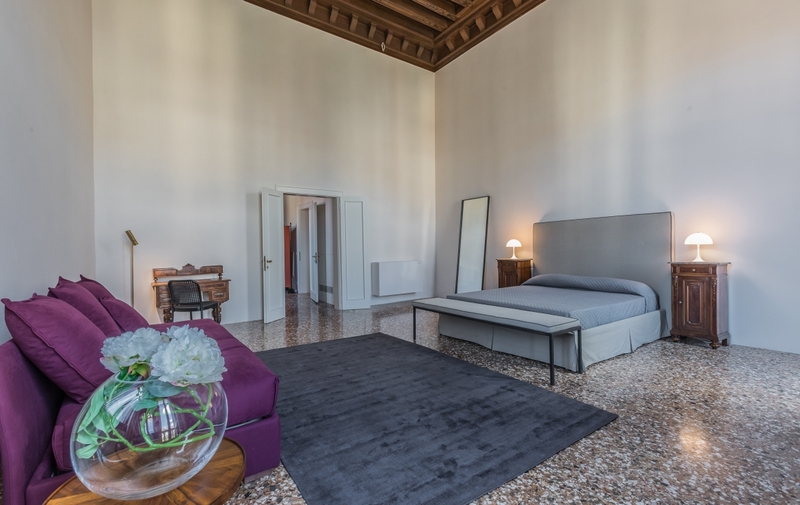 Integrating chic Italian design with meticulously restored architectural details such as Venetian terrazzo flooring and colourful frescoes, these remarkable properties range from a well-proportioned studio with shared furnished courtyard, to a bright and beautiful 2 bedroom Piano Nobile apartment, each offering guests a unique opportunity to sample the joys of elegant palazzo living in one of the most authentic Venetian districts of town. 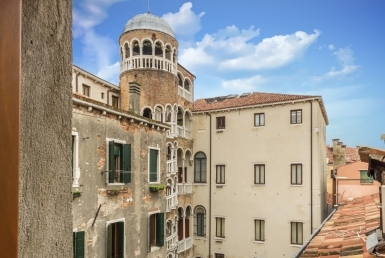 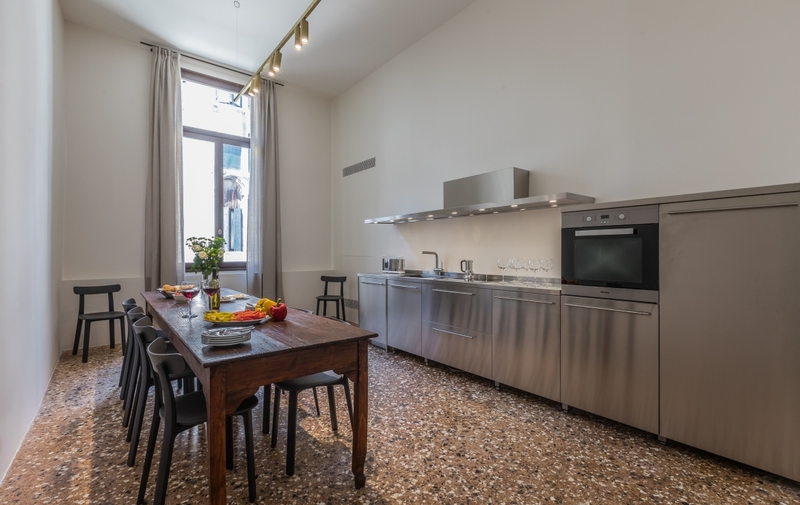 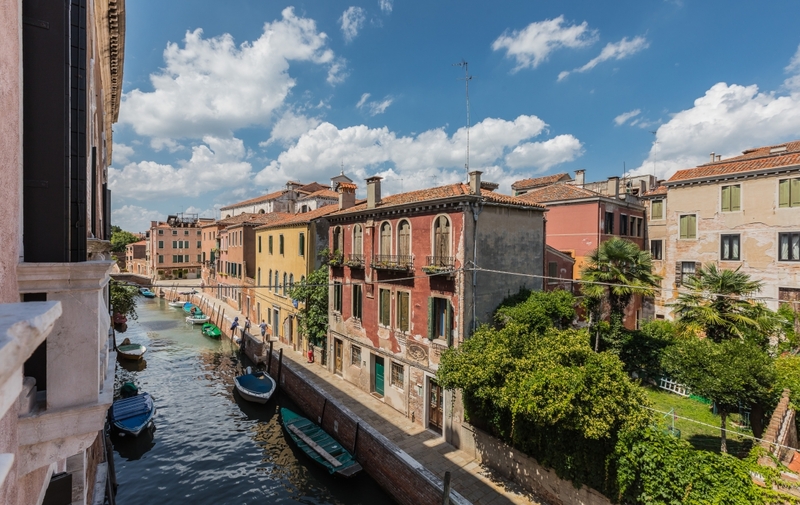 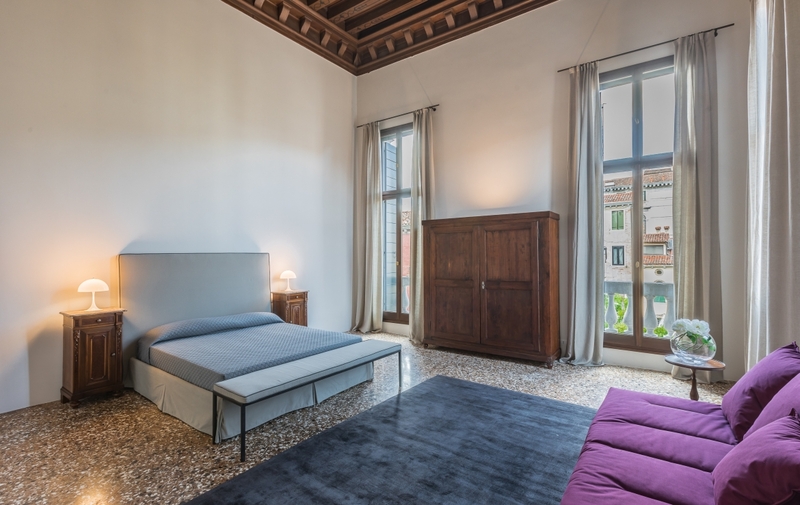 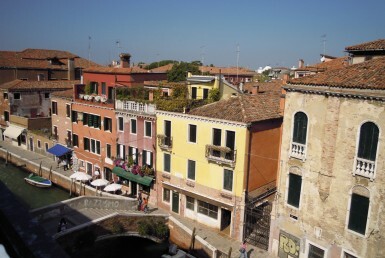 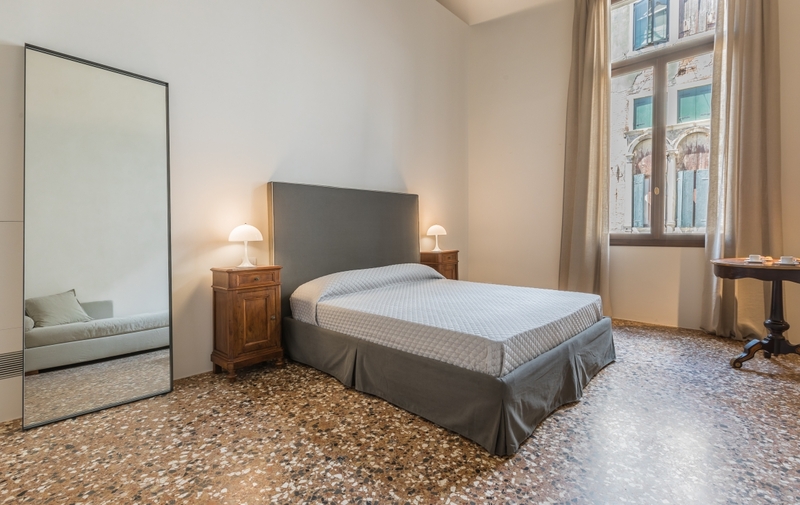 A dreamy and delectable Piano Nobile (Noble Floor) apartment – bright, grand and totally ravishing – offering two bedrooms and two bathrooms on the second floor of the Palazzo, and enjoying the most charming sleepy canal views to the rear. 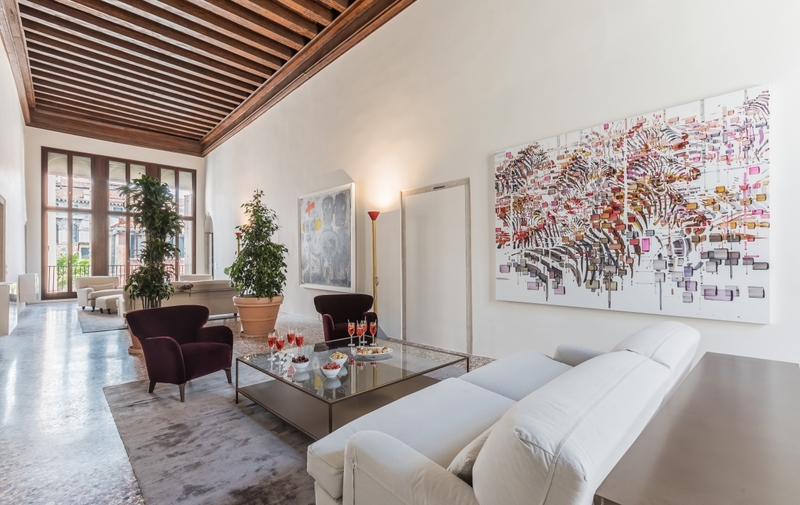 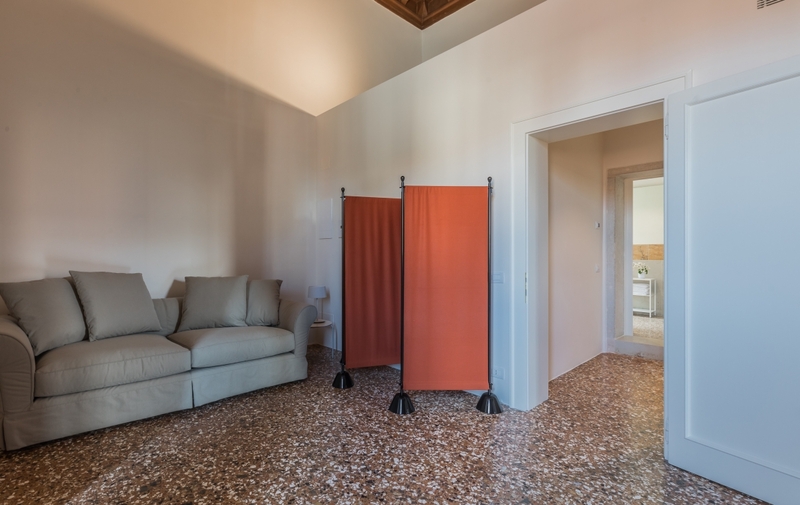 Providing deluxe accommodation, this stunning apartment showcases very tall, decorated wooden beamed ceilings, original Venetian terrazzo flooring and a true abundance of space. 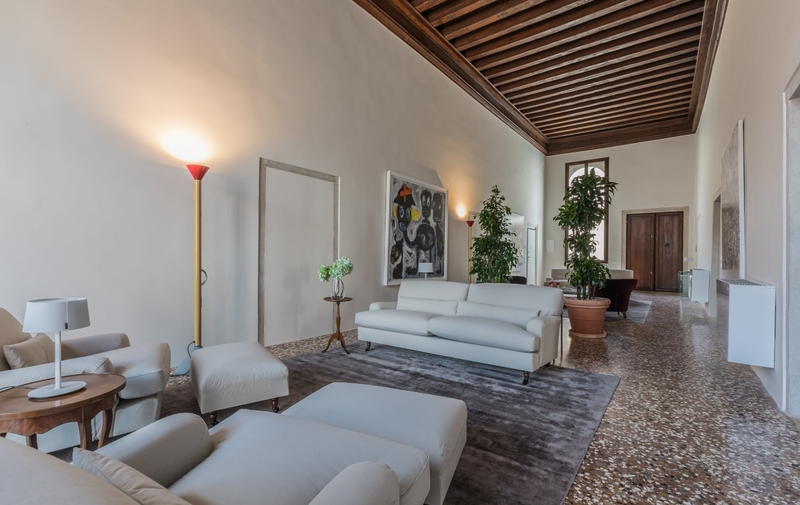 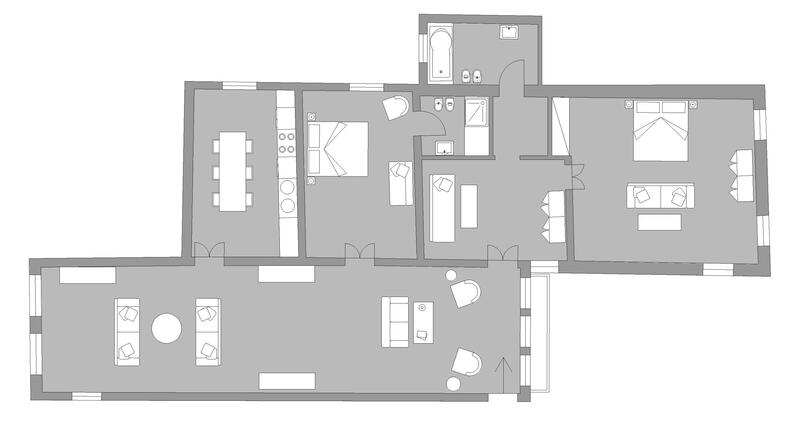 The main reception sitting room has a ceiling height of approx. 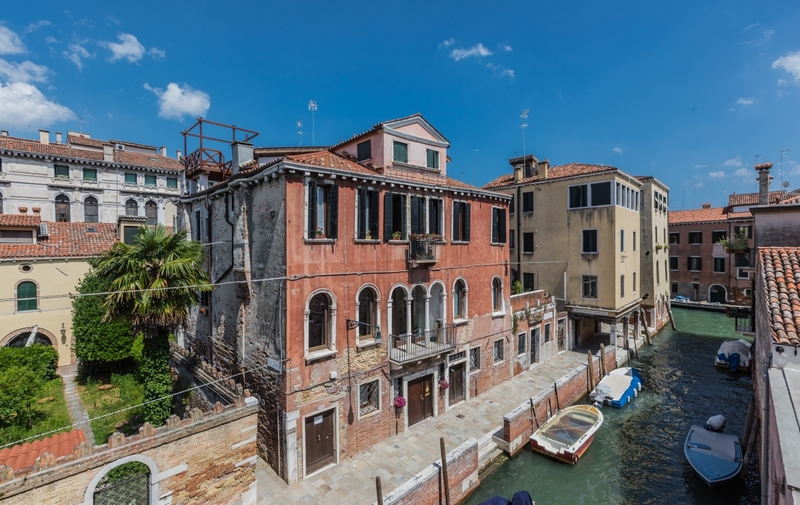 5.5 metres and three tall French windows flooding the room with light, while the spacious master bedroom to the rear has two French windows opening onto Juliet balconies overlooking the rhythms of life along the Rio del Trapolin canal. 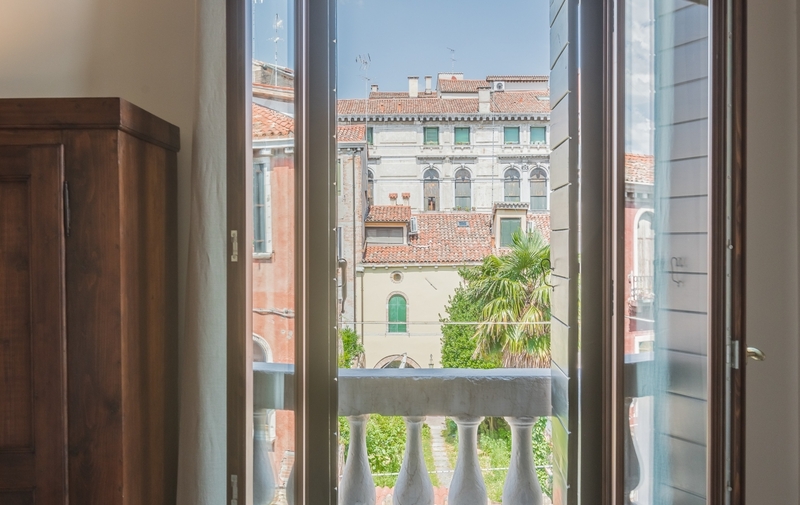 A magical Piano Nobile in a privileged position in the Cannaregio ‘sestiere’… a much-loved district with a traditional old-world charm characterised by peaceful residential areas, a host of historic landmarks including the spectacular fairy tale Ca’ d’Oro and the ancient Jewish Ghetto, plus long and wide canal-side ‘fondamente’ including the Fondamente de la Misericordia and de la Sensa (with their fabulous selection of local restaurants and ‘bacari’), and the Fondamente Nove – Venice’s northern waterfront overlooking the waters of the lagoon towards the distant peaks of the Dolomite mountains.